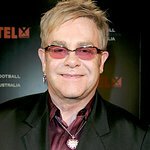 On Monday, October 15, Sir Elton John continued his humanitarian efforts to raise money for HIV/AIDS prevention, treatment, and awareness programs across the United States, the Americas, and the Caribbean at the Elton John AIDS Foundation (EJAF)’s 11th annual benefit An Enduring Vision held at Cipriani Wall Street (55 Wall Street). American Airlines, The Kraft Group, and Wells Fargo served as the Presenting Sponsors of the benefit, and the star-studded evening raised $2 million for the Foundation. As part of the evening’s program, EJAF Founder Sir Elton John and Chairman David Furnish presented Enduring Vision awards to three outstanding Foundation supporters. Robert Kraft has been a loyal and generous supporter of the Foundation for many years, both personally and through the Robert and Myra Kraft Family Foundation. As Chairman, CEO, and Founder of Neuro, and as a private philanthropist, Diana Jenkins has been a wonderful patron of EJAF’s work and events in the U.S. and in the U.K. Likewise, Joseph Blount has also been an ardent benefactor to the Foundation since its inception. 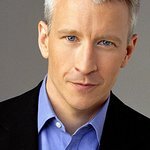 CNN journalist and New York Times best-selling author Anderson Cooper hosted the gala dinner for a sixth consecutive year, and legendary singer Stevie Nicks performed. Also, Jamie Niven of Sotheby’s conducted a live auction featuring such one-of-a-kind items as a Jean-Philippe Delhomme portrait; “Big Bear,” the largest canvas from Matthew Brandt’s Lakes and Reservoirs series; two Andy Warhol Cow screenprints; lunch for two with Anderson Cooper; two best-in-house seats and backstage passes to Alec Baldwin's Broadway performance of Lyle Kessler’s Orphans; and a week-long stay for up to 16 people at the Castello di Santa Eurasia in Italy.